Building resilience – how it can be developed within and beyond the work context, and how this can deliver improved performance for the organisation as well as enhanced wellbeing for employees. – Training Journal, September 2013. How to boost your team’s ‘bouncebackability’ - Find the Edge website, June 2013. Some pointers on how to create the right climate and conditions which will help your team grow in strength and cope successfully with tough challenges. Building a Strong Leadership Team – Are You Missing a Trick? – Find the Edge website, April 2013. What might be wrong about leaders recruiting and promoting people like themselves, and what they can do about it. What is resilience and why should you care? – Find the Edge website, March 2013. Team and personal resilience and the benefits they might bring in the form of employee well-being, productivity and customer satisfaction. 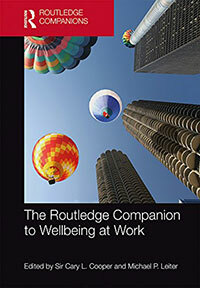 This is a comprehensive reference volume addressing every aspect of wellbeing at work, including a chapter on resilience, written by Jill Flint-Taylor and Alex Davda. The authors look at how individual resilience changes over the lifespan, and what this means for the design of effective resilience-building interventions in the organizational context. 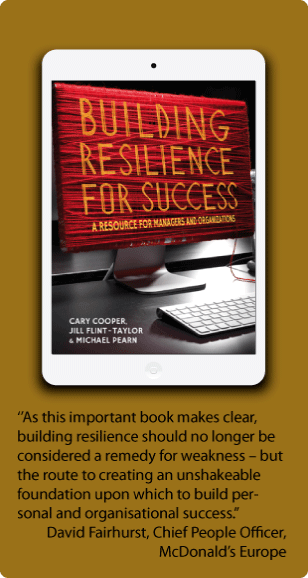 They discuss some of the main findings relating to research into resilience at the level of teams, departments and other organizational groups. They explain how resilience of teams and other groups is much more than the sum of the personal resilience of individual group members. Happiness in one aspect of our life can positively impact upon our satisfaction within other domains of our life. The opposite also rings true. Today's generation of working people have often been called the generation who want it all. But can we really have it all? Chapter covering the organizational perspective, in a book that aims to broaden the public and policy discourse on the importance of well-being by examining psychological, social, environmental, economic, organizational, institutional and political determinants of individual well-being. The purpose of this paper is to explore relationships between leader personality traits and specific workplace stressors experienced by work group members. Literature review and exploratory study bringing together recent research on resilience, personal attributes and work outcomes.